Bajaj Auto Indian Limited, one of the largest two-wheeler maker, is expected to introduce the new 2011 modified version of Bajaj Boxer soon in the Indian auto market. According to news reports, the new improved version of old horse of Boxer will be launched in India by 2011. Photos of what looks like the 2011 Bajaj Boxer have started appearing on the Web. The bike was apparently being tested in the outskirts of Pune. The discontinued model of Bajaj Boxer powered by a 111.6 cc power machine and top power output of 7.7 HO at 7000 Rpm. The updated version of Boxer might be loaded with higher engine capacity than the discontinued model. 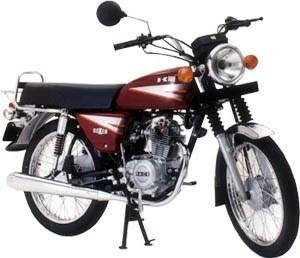 The old horse of Bajaj Boxer was a most popular motorcycle brand in the country which is mainly using in villages and sort business worker because they used it for light goods carried. 2011 Bajaj Boxer is expected to come with simple features like rectangular speedometer as Hero Honda CD 100 Ss, round headlamp, big 12 litres fuel tank, rigid grab rail, leg guard and leg guard. But the bike will not comes with special features like disc brake, alloy wheel, self start, stylish seat, attractive silencer and chassis. It is believed to be available in wide colour range and would be priced tag of Rs.44,699/-. The Transmission system of 2011 Bajaj Boxer would be equipped with 4 speed. Bajaj Auto is receiving excellent response from the Indian buyers on its most popular motorcycles brands including Bajaj Pulsar, Discover, Platina, XCD 125 and Bajaj Avenger. On the other hand, the company is also targeting to expand their two-wheeler market with the launches new motorcycles range in the country and associating with Kawasaki and KTM to sale higher range massive motorcycles soon in the country. Apart from that launch, Indian bike lovers will see new Bajaj Bikes in India that includes Bajaj Sonic and Bajaj Blade.